If any of your core business applications—like ERP, CRM, order entry, and other mission-critical apps— run on Oracle Database, you want to ensure that you have an operating system that is optimized for it. Many organizations turn to Oracle Linux to run their databases as it offers out-of-the-box optimizations that no other Linux distribution can deliver. 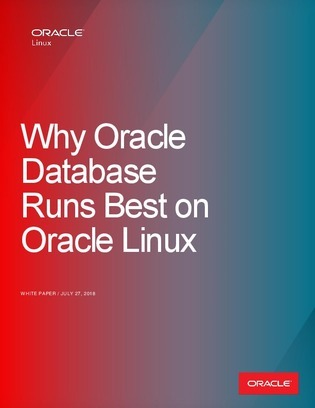 Read this white paper to learn why many organizations choose Oracle Linux for running their Oracle Database environments.